If you are tied to a network carrier and don’t have the freedom to use any other network of your choice and you are thinking how do i unlock my samsung, we’ve got a solution for you. Now you can get your Samsung Galaxy S8 Plus Unlocked without any problem. We offer the best service in this regard, you can avail the fastest and most reliable unlocking service in best price, and that means our prices wont be beaten. Method Of Unlocking Samsung Galaxy S8 Plus ? The best and fastest method of unlocking Samsung S8 Plus is by Galaxy S8 Plus sim unlock code. So here is how this system works, all you have to do is select the network your phone is locked on, give us your IMEI number (which is a precise 15 digit number unique in every phone) and your e-mail address. With that IMEI number we will get you your Galaxy S8 Plus Unlock Code by sending it to your e-mail address in the time stated above. by entering that code you’ll have unlocked samsung S8 Plus. Ain’t it easy? How To Find IMEI # Of Samsung Galaxy S8 Plus ? You can get the IMEI # of your phone by typing *#06# and you will see IMEI number appearing on screen. The details on finding IMEI # of any phone are discussed how to find IMEI number of your phone here. Risks Involve In Unlocking Samsung Galaxy S8 Plus ? There is not a single risk involve in this process because our Samsung Galaxy S8 Plus Network Unlock Codes comes from the company’s data base, and that makes us the best in this field. There are no hardware changes involve in this process so no risk of damaging your phone. You dont need to install any 3rd party app so no threat to your data. Every thing about risks we have discussed risks involved in unlocking process. How To Order Sim Unlock Code For Galaxy S8 Plus? Ordering Samsung Galaxy S8 Plus Plus Unlock Code is as easy as it gets. All you have to do is type IMEI number of your phone and your E-mail address and press the buy now button. In the time stated above we will send you your Samsung Galaxy S8 Plus Plus Unlock Code. How To Enter Samsung S8 Plus Unlock Code? Turn off the your phone. Your phone will ask you for a Network Unlock PIN. Enter the Samsung Galaxy S8 Plus Unlock Code. You get ability of using your phone around the world ditching any roaming fee. You get ability to choose most flexible packages from all available networks, no strings attached. Unlocking your phone makes it a hot cake among potential buyers, resulting in increased resale value. We have discussed benefits of unlocking your phone here. 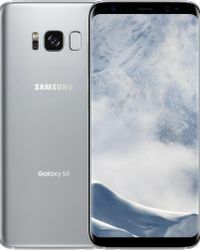 Why Unlock Samsung Galaxy S8 Plus With LetsUnlockPhone.com? With LetsUnlockPhone.com, the whole process is simple, easy and hassle free. You dont need to have any existing knowledge of unlocking. Samsung Galaxy S8 Plus Unlock Code will not damage your phone in any way. After unlocking your phone will not get locked again ever, even if you update or hard reset your phone. You can check specs of Galaxy S8 Plus here.